Ukraine plans to nearly double the size of its police force, adding thousands of officers by the end of the year, Internal Affairs Minister Arsen Avakov said Tuesday, according to UPI. "As of today, the number of our police amounts only to 3,200. We will have 6,000 police officers by the end of the year," Avakov said while in Kherson, a city in southern Ukraine, according to UPI. Ukraine's national police force has begun to shift toward a Western-style organization. That shift was supposed to be completed in August, but Avakov has not yet named someone to head the force. Former Interior Minister Yuny Lutsenko has criticized Avakov's efforts to modernize and reform the national police, saying Ukraine has seen an uptick in crime while not ridding the force of corrupt officers. "There is a gap between the law and its execution. We see a lot of weapons in Ukraine, and people who are ready to use them without any doubt," Lutsenko said, according to UPI. 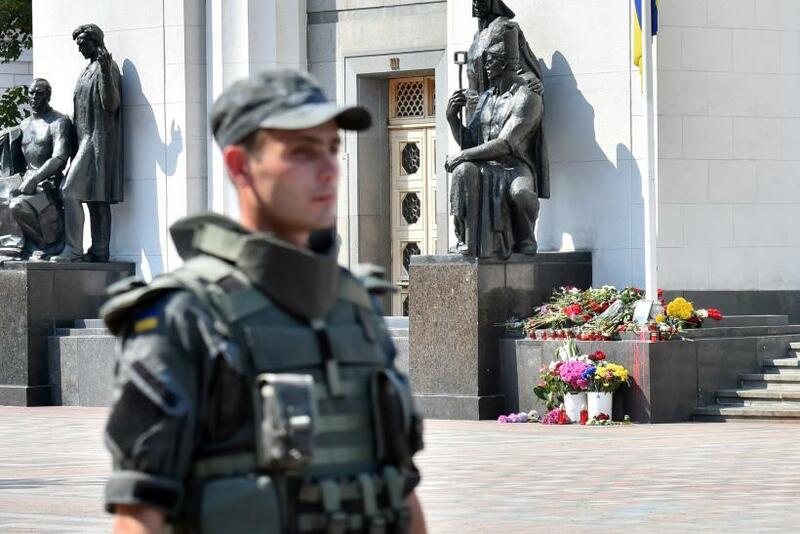 At the end of August, Ukrainian police forces made international headlines when an officer died during a violent protest over the Ukrainian parliament approving increased autonomy for the Luhansk and Donetsk regions in eastern Ukraine. The police force is expected to take on a more prominent role in the country with tensions between Ukraine and Russia easing slightly in September, UPI reported. A tenuous ceasefire agreement between pro-Russian separatists and Ukrainian forces hit the 10-day mark on Saturday. Separatists and the Ukrainian government have engaged in a bloody conflict in eastern Ukraine that has killed at least 6,400 over the last 17 months. Western leaders and the Ukrainian government have long suggested Russia has aided the separatists, which the Kremlin has repeatedly denied. A previous ceasefire agreed upon in February had been violated, but the recent success has buoyed hopes of peace. "So the ceasefire now has been holding for more than 10 days and that's good news, because that is opening the space to make progress on a political level," Lamberto Zannier, secretary general of the Organization for Security and Co-operation in Europe, told the Associated Press last Saturday.